I’m so happy for you… your relationship with Drew Pal has brought so many great things to your life and your work… I couldn’t be more thrilled for you. In every relationship, though, I know tough times come along, and I can sympathize. I recently heard from a mutual friend that you’ve hit a real snag in your relationship. It seems that your dear friend is failing to meet your needs in a very important, very personal way. Drew just doesn’t seem to understand why SCORM is important to you. I know a lot of guys like Drew. They say they care about your needs. Sometimes, they make sincere efforts to be there for you… but do they last? Do they really understand? I know Drew’s been giving you lip service about this for years… wasn’t it back in 2007 when he said he would really work on this SCORM thing? That didn’t work out, did it? So what did Drew do then? Drew thought he could bring in one of his buddies… he thought the two of them together could embrace your needs. The problem, though, is that Mo Dull isn’t all that great with SCORM either. Mo is more of an early 2000’s guy, since he’s yet to embrace SCORM 2004. So then you were stuck with Mo and Drew together, and neither of them really did what you needed them to do. Twice the headache. The SCORM Cloud is the best kind of therapist… he sits between you and Drew and explains what you really mean to each other. 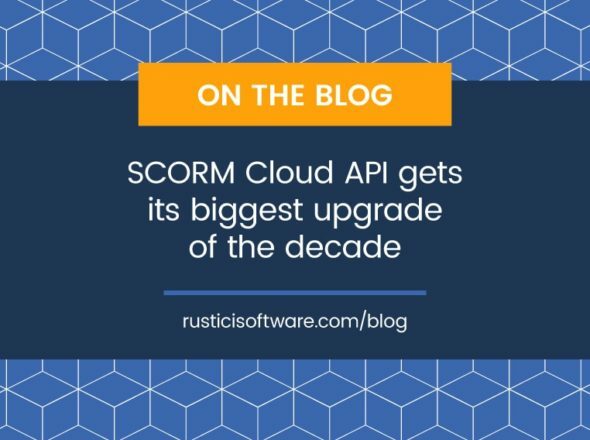 With SCORM Cloud serving the content, there are no mixed messages, no disastrous incidents… Your needs are met… you can deliver SCORM content without a headache. And Drew? Drew would be thrilled. Drew wouldn’t have to spend any of his time and energy trying to understand this crazy SCORM stuff. He would get the simple, grunt sized pieces of information that he needed. SCORM Cloud therapy, like most valuable things, does come with a cost. The good doctor spends countless hours in continuing education to keep up with the evolving “illness” that is SCORM, and hosting these pieces of content isn’t a trivial expense. That cost is simply passed on to you, since Drew himself won’t pay. Drupal User, I would love to introduce you to SCORM Cloud. Scheduling that appointment would take a bit of time on both our parts, but your sincere interest in ongoing therapy would make it worth my while. Please, send me a note, and we’ll introduce the two of you. Note: We haven’t put together the connection for Drupal and SCORM Cloud yet. We would love for you to do that yourself. Or, if you’d rather we do it, let us know that it would be useful for you, and we can help out. And if you have another piece of open source software that you’d like us to integrate, let us know that as well… Moodle, Sakai, WordPress, all of these systems would fit together with the SCORM Cloud beautifully… just give us a good reason.